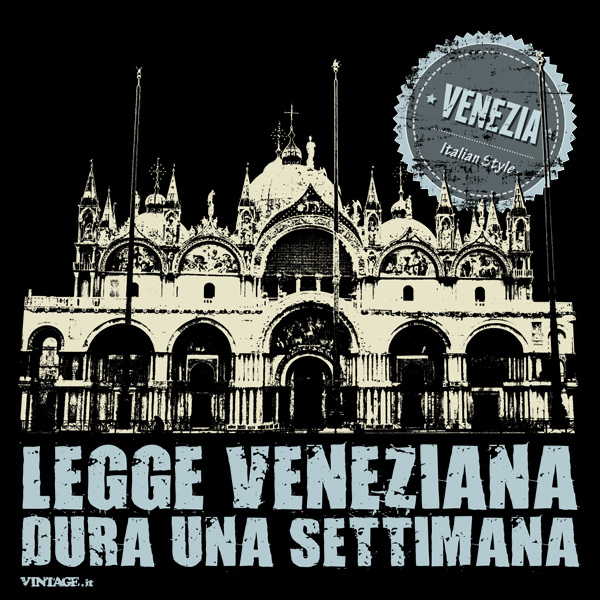 LEGGE VENEZIANA DURA UNA SETTIMANA! Venice. The magic of a city that blends history and future, elegance and luxury, traditions and creativity. 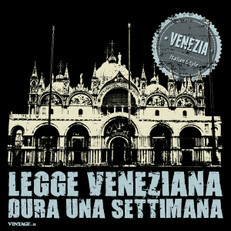 The sentence of this T-shirt means that a new law will rule at most for a week in Venice... It's about changes!